A meme is the reflection of human thoughts or experiences whether it’s good or bad on a certain topic. Sometimes thoughts are embarrassing and mostly like a taboo for such reason people get inspired to quote those thoughts via memes. Not every meme on Nails is bad but the reflection of experience can differ from people to people. Memes and Quotes are the best way to get people’s opinion on anything as they expressed their ideas and expectations through it. That’s why Memes & Quotes are relevant sometimes. Also, If you are a nail Art lover and want to boost up your dull mood by some humorous words, we have created the below funny memes and quotes about nails just for you! 1. The Sound of Men Complaining is Like Nails on A Chalkboard. 2. Ladies, I’ll let You in on a Little Secret: Guys Don’t Notice Your Nails. 3. 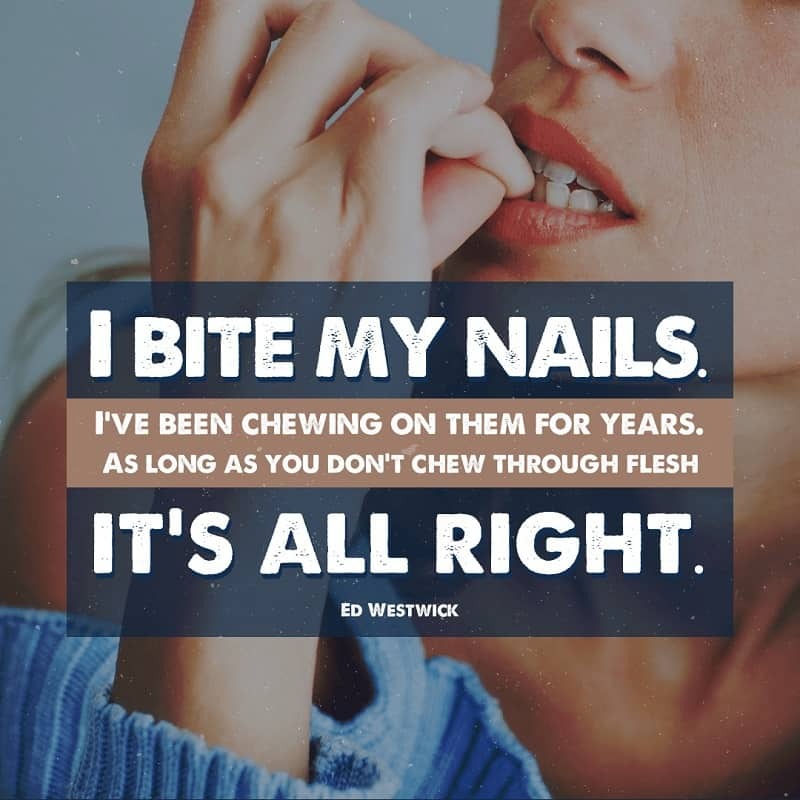 I Bite My Nails & It’s Right as long as I Don’t Chew through Flesh! Different Types of Nails: Which One Is Your Favorite? 4. First Grow Your Nails like Mine, Then Talk to Me! 5. Don’t Try To Mess With Me. YES! Fear My Nails. Memes on nail or nail art are fairer than any other criteria as this topic has less subject to criticise about. Everything can be spread both positively & negatively but It’s our duty to accept them positively and work on them.